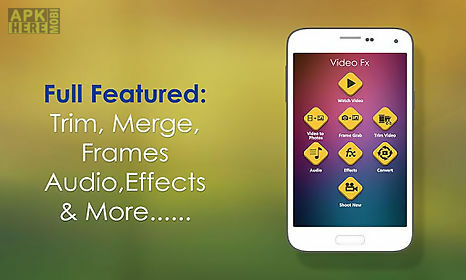 Video fx :video maker & editor app for android description: Video effects is a magical video editing application for creating professional looking videos in minutes. Now producing and downloading of videos became very interesting and wonderful. This video editor app created only for the complete entertainment as well as to make your gadgets smart useful and attractive. You can easily change your video to audio (. Acc file) convert photos to the videos slide show with the background music add various video editor effects (fade in out gray scale effect mirror effects negative effect slow fast motion effects sepia vignette polaroid). This video maker app convert videos in the various formats like avi mp4 flv with amazing functions like rotate clips at different orientations zoom in on the action add transitions music narration compression of videos split video files and many more. 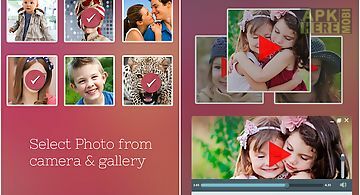 Easily merge videos of your marriage birthday parties and others. Through this picture and video editor app you can trim videos split videos remove audio from videos add audio change audio of video video to audio(. Acc file) add many video frames. Try this video editor app and share your creativity with your friends. Features: - join multiple videos convert video to images. 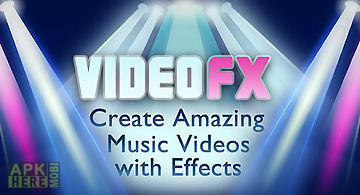 - Add background music your own voice to the video. - Intuitive ui design for easier editing. - Functionality for video trimmer audio cutter. - Make your own wallpapers from the videos. 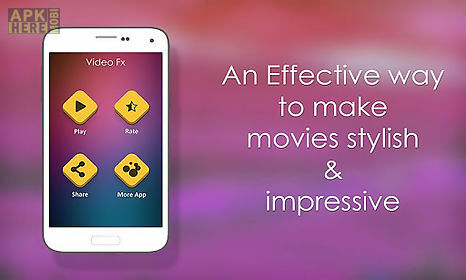 Movie maker bring excellent video editing experience to you. Without maximum operations make awesome video with photos and videos. 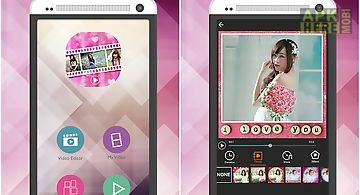 It 39 s completely free video editor app. The images used in the screenshots are open source and is governed by wikipedia commons license. Is a good application with a big set of various effects. Make your video unique applying retro effect reflex camera and negative shooting effects. Game fea..
Did you record or save your video in wrong orientation? Is it in the wrong direction? 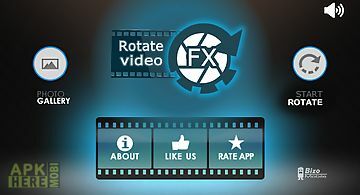 Don 39 t worry anymore now there is rotate video fx! 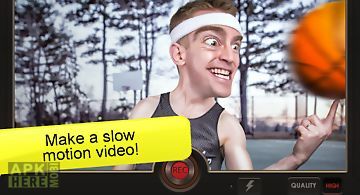 You can select t..
Make a slow motion video! You can also make magic fast motion video. Output video can be uploaded to youtube or instagram show your friends and get hundred.. 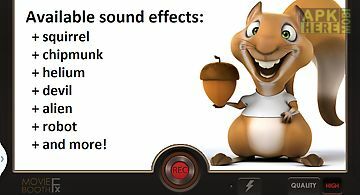 This app lets you change your voice in a video to sound like a funny creature! 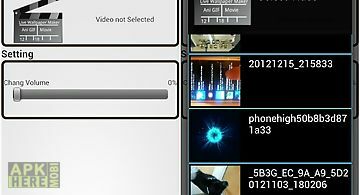 Just record a video or select it from your sd card choose the effect and cre..
Is one of the best and high quality cameras for your android device. 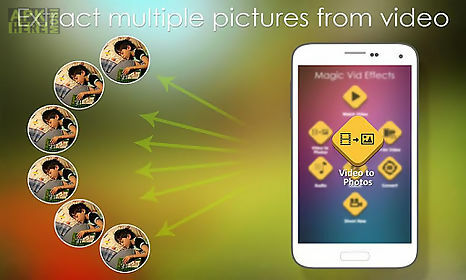 The application offers the following options for perfect photos: six time zooming over.. 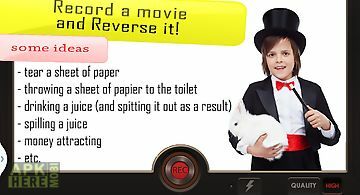 Reverse movie fx is an app that lets you create a reverse video that looks like a magic trick! First record a video of someone (or you): walking drinking o.. 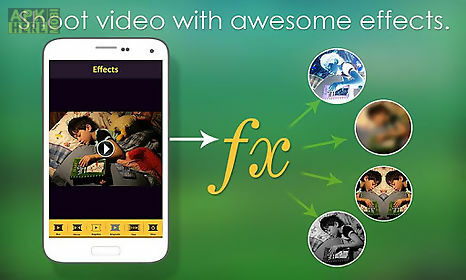 Experience video maker the top rated and best free slideshow and video editor available in google play! 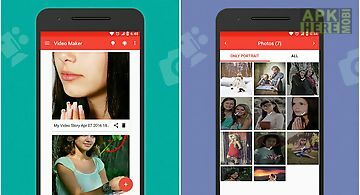 This easy to use movie maker app collects your phot..
Video maker is application for creating video from images and music its totally free and be forever without any watermark. Create your video story and expr..
All thing you can do with your lovers by send them mini video make from photos memories that is wonderful and so cute. 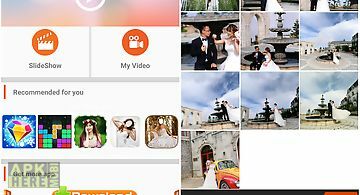 Love video maker will help you do th..
Video photo maker is application for creating video from images music and share amazing music video story with your friends! 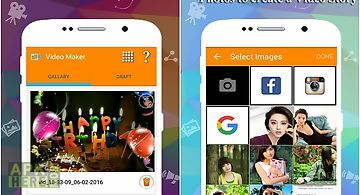 Video photo maker is one of th.. Enjoy the video that you have put android wallpaper!! Because the movie sound as well as playing in the wallpaperliterally can watch videos on the screen w..
photo to video maker photo to video maker application through you selected image converted in to video. You like different place to capture the photo and ..